This was Nikon's first 35mm camera with vibration reduction, even before Canon introduced its image stabilized lenses. It is not very well known; as it probably was expensive and did not sell very well. 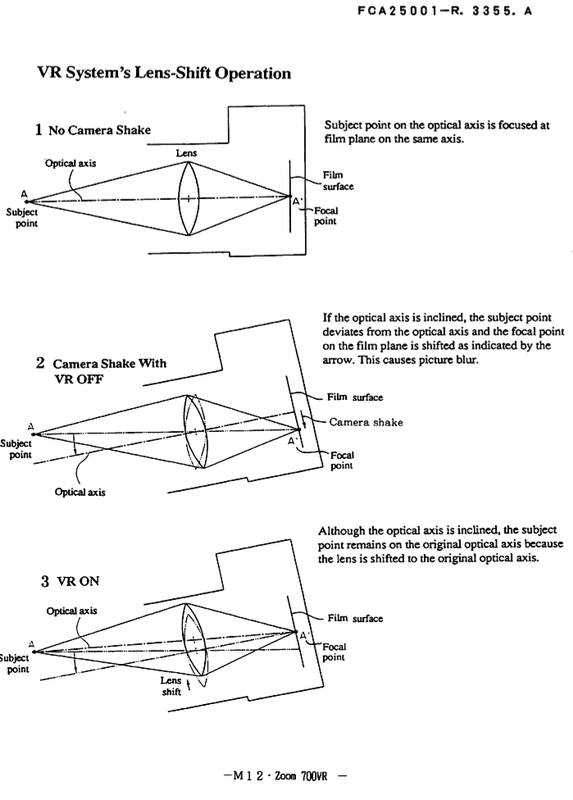 This may be why Nikon then took a whle to come out with vibration reduction for its lenses, perhaps the lack of success with the 700VR left its mark. 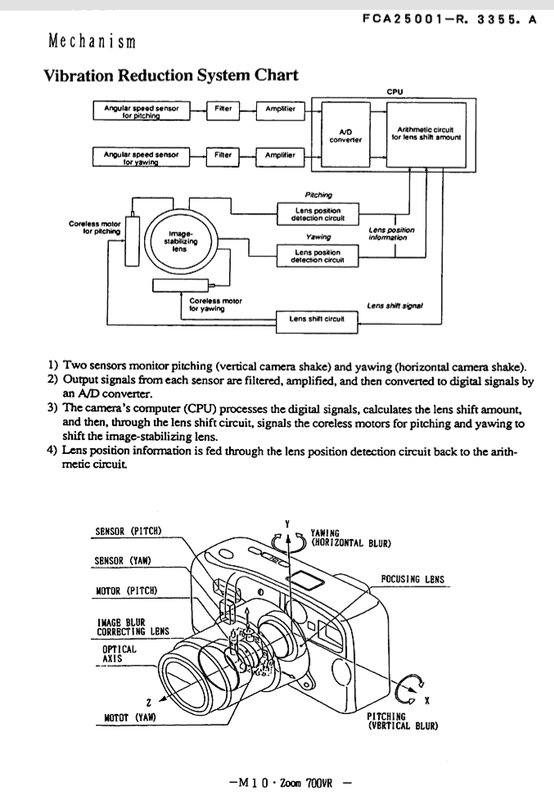 The following extracts are from the service manual for Zoom 700VR. 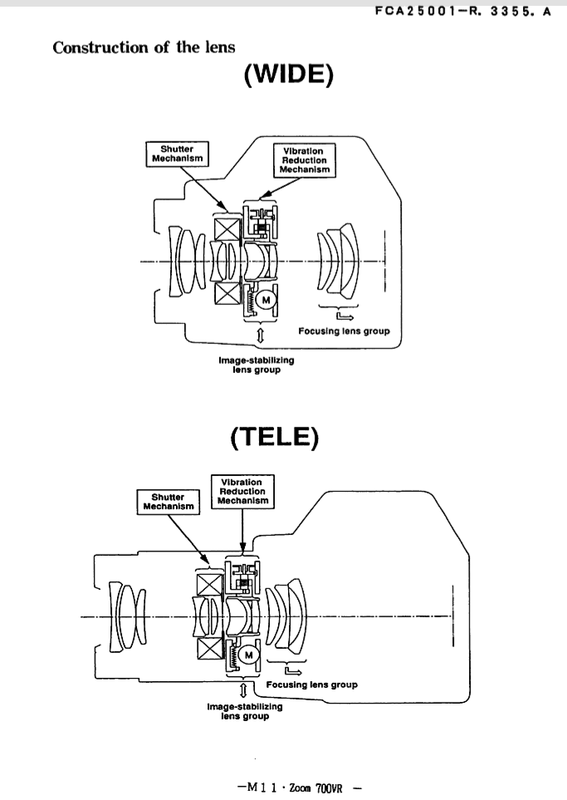 It appears that the camera had an elaborate lens system, and must have been quite expensive to manufacture.